February is National Cancer Prevention Month, and it’s the perfect time to share naturopathic cancer prevention options. Here at Flow Natural Health Care, we work to provide you with holistic options for any disease treatment. And, you may not realize it, but there are many very simple and natural things you can do to prevent cancer from affecting you and your family. 1. A healthy diet can help you guard against cancer. One of the easiest holistic cancer preventions action you can take is to eat healthfully. Now, healthy eating can mean different things to different people – depending on how you were brought up or what literature you have read. Because there are so many different opinions about proper diet, it can be confusing to decide what’s healthy and what is not. For example, is chocolate healthy? Are you really allowed to drink red wine daily for its health benefits? Should we all be eating the latest “superfood?” These are all questions that research on the internet can’t answer. Our recommendation for finding the best diet for your body is to come in and consult with one of our practitioners. From there we can determine if you have food allergies, find the cause of gastrointestinal or other problems, and decide what diet fits your needs and lifestyle the best. 2. Common, household items contain cancer-causing chemicals. All or most of these chemicals can be avoided through diligent shopping habits and label reading. 3. Stopping smoking and avoiding secondhand smoke can lower your risk of cancer. Unfortunately, smoking cessation can be tough. Nicotine, like cocaine, boosts dopamine, linking smoking to an increase in pleasure. Luckily, there are holistic ways to help combat addiction to nicotine. Various vitamins, herbs, and counseling can aid in easing all of those uncomfortable cravings and symptoms that come with smoking cessation. So, when you come into Flow Natural Health Care, be sure to discuss your plans for quitting smoking. We are here to help. 4. A proper balance of vitamins and minerals is essential. Antioxidants like C, E, and beta-carotene neutralize cancer-causing free radicals and are fantastic cancer-preventers. However, a person cannot simply take a bunch of Vitamin C and assume all will be well. Vitamins must be consumed in a balanced way, as some vitamins aid in the absorption of other vitamins and minerals. For example, Vitamin D helps in the absorption of calcium while Vitamin C helps when one needs to absorb more iron. It’s also important to look at the dosage of your supplements. You can actually take too many vitamins, and because some vitamins are fat soluble (meaning they don’t flush out if you take too many) and many minerals will also stick around in your system, taking too many supplements can cause toxic reactions. This is, obviously, the opposite reaction you want to happen when taking supplements! The best way to get your optimal vitamin intake and attain balance is by eating a diet high in fruits and vegetables. Additionally, herbs are a great resource for obtaining vitamins naturally without risk of overdoing it on one vitamin and unbalancing your system. Teas like raspberry leaf are an excellent resource for female health, while the spice turmeric can help ease urinary difficulties in men with prostate issues. Naturopathy is all about balance and utilizing the healing power of nature. Here at Flow Natural Health Care, we can help you find the proper balance of vitamins and minerals you need to complement your health. We also provide natural dietary improvements to provide the proper vitamins and minerals – or we can help you boost your health with the right supplement dosage. 5. High stress levels have been linked to increased cancer risk. Stress is often stressful to think about. It’s anxiety inducing to have to decide if something stresses you out or does not stress you out. For example, work is often stressful, but sometimes it’s a fun, active environment that causes your brain to work hard and allows you to really focus. But if your boss is terrible, all of the fun can be completely sucked out of your workday – making it just a source of stress. Exercise can also be physically and mentally stressful, but it’s generally fun and rewarding. However, imagine if you had a trainer that yelled at you or insulted you, no matter how many reps you did or how long you ran? That would take all of the joy out of exercise and make it all stress, all the time. Get in some exercise every day. You can do anything from taking the stairs instead of the elevator or going on a ten-mile hike. No matter what type of exercise you do, congratulate yourself for doing it and enjoy the process. Take time out for self-care. Those of us with a family and/or a busy career know that it can be hard to get a chance to think about ourselves. However, it’s important to take a little time out each week for self-care. This could be anything from taking a soothing bath to getting a massage, from coming in to see your naturopath to heading to your favorite cafe. No matter what you do, make sure it’s something you enjoy, and helps you feel great. Try to increase your sleep time. Getting very little sleep can add both physical and mental stress to your day, as you fight through exhaustion to get things done. See if you can take a power nap – or try to get a solid seven hours or more of sleep at night. This may mean missing an episode of your favorite show, but it’s worth it! Practice relaxation. There are many ways to relax at the end of a hard day. Some people practice meditation; others putter around the yard, while still others may read a book. Find what relaxes you and try to add it into your daily routine. Laugh. Sometimes laughter is the best medicine, so start your day with your favorite comic, listen to that silly morning radio show, or talk to the “funny guy” in the office for a few minutes. We hope these five pointers help you throughout Cancer Prevention Awareness Month – and all year long! If you are considering making a healthy change or you would like to improve your physical or mental health, contact us today! We would love to help you take the next step toward a healthier life. February is National Cancer Prevention Month, and it’s the perfect time to share naturopathic cancer prevention options. 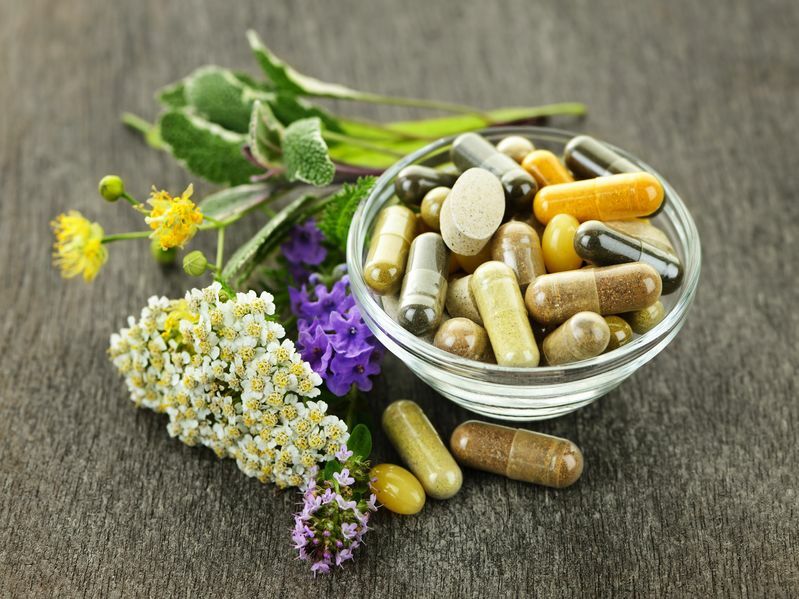 At Flow Natural Health Care, we provide you with holistic options for any disease treatment.